Fight no. 1: 100 lbs. Fight no. 2: 100 lbs. Fight no. 3: 124 lbs. Fight no. 5: 140 lbs. 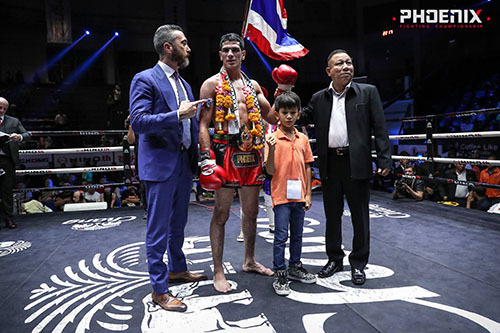 Thanunchai Rachanont (WINNER) vs. Rambo Phet Por. Tor. Or. Fight no. 9: 131 lbs. Fight no. 10: 101 lbs. Major General Supachan Kaewhiran, Lt. Col. / Lumpinee Boxing Stadium, received a donation from General Ponmati Piromya, Deputy Chief of Staff. 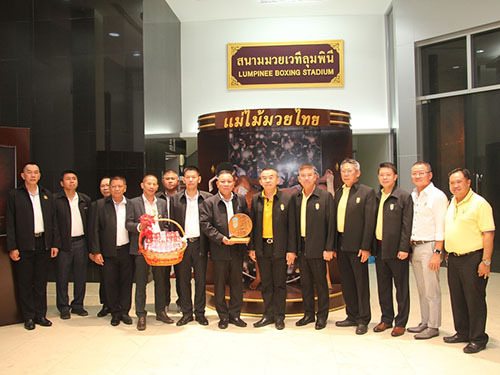 59 Kwang Po, together with the promoter Mr. Numnoi Singpatong of, “Battle of the Little Diamond”, organized charity boxing to raise money, support the welfare of generations and donate for charity at Lumpini Boxing Stadium on May 22.